This production Tempest folder captures Liong Mah's sleek knife design and has performance materials and exceptional build quality to boot. 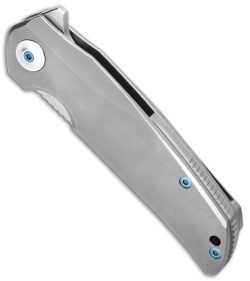 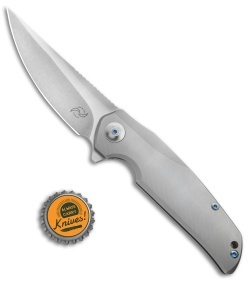 It has a stonewashed CPM-S35VN stainless steel blade set on ball-bearings for smooth action via flipper opener. 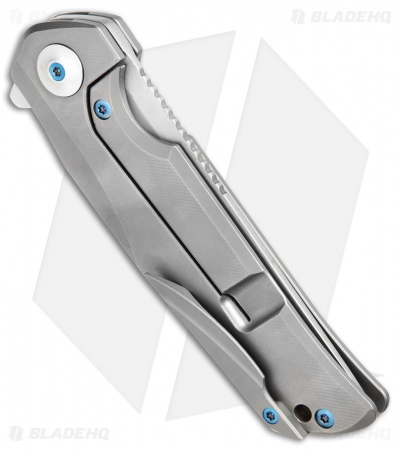 The titanium handle sports blue anodized hardware and a milled titanium pocket clip and backspacer. 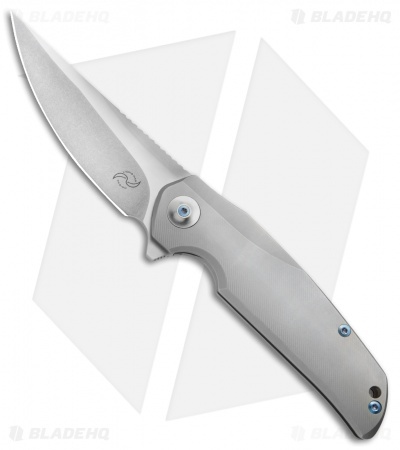 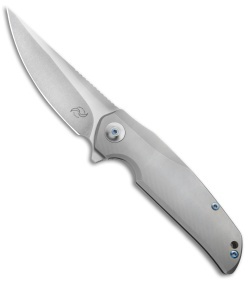 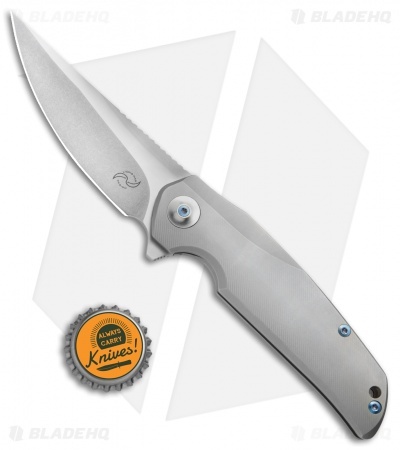 The production Tempest is made by Reate Knives.